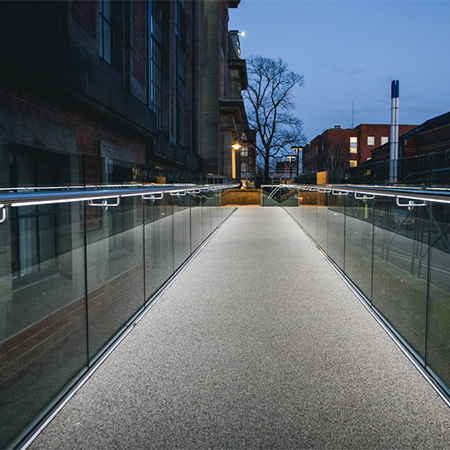 Q-railing has provided its Glass Max glass railing with an LED handrail as part of refurbishment works at Leeds University. Architects at Fuse Studios had to combine existing structures with contemporary design and modern safety features for the refurbishment of the Fine Arts building. The all-important vintage feel had to be kept intact. To ensure safe access for all visitors, a new steel ramp was added to the entrance. A heavy-duty Easy Glass Max glass railing with an LED handrail from Q-railing was added here, giving the whole entrance a stylish, welcoming feel. 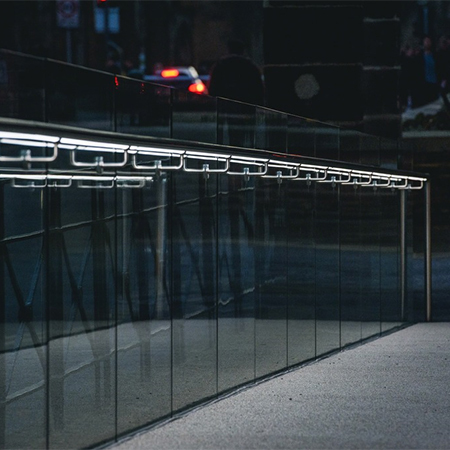 The architects opted to use Q-railing products, including an LED-lit handrail. The specification team from Q-railing recommended the Easy Glass Max system. It is highly robust, meeting all the relevant safety requirements with ease, and yet provides a glazed area that is almost uninterrupted. A stainless tube with added Q-lights Linear Light illumination tops the balustrade. 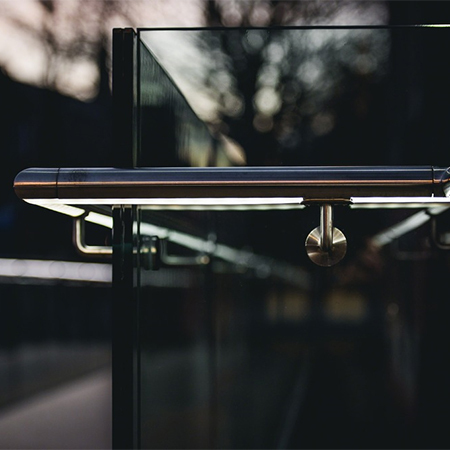 This LED handrail, which is attached to the glass infills with off-set brackets, is a stunning feature. 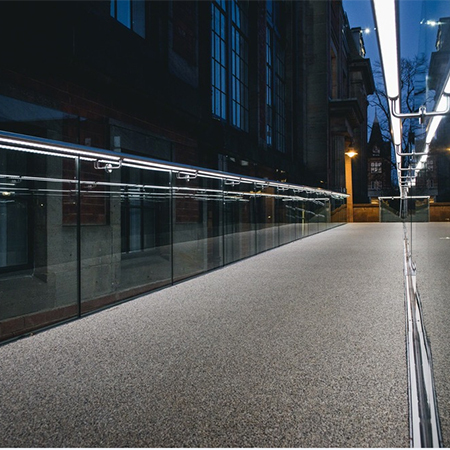 It creates a continuous stream of light on the ramp, ensuring maximum safety for users. 01782 711 676 Tech Dept.